There are a few things that I know from just watching and being around my mom while she cooked. I never really tried to learn cooking from her. But when it came time to do it on my own. I relied on my memory for things that she would make and the rest sort of just happened. This is one of those recipes that I can do with my eyes closed. Her famous Asian inspired chicken fry. 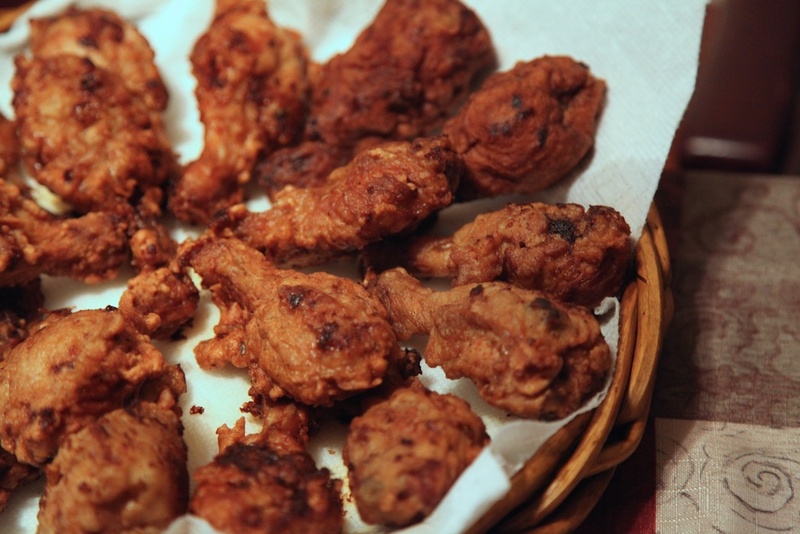 She only ever makes this with drumsticks and thighs but you can use whatever you want. You can adjust all these ingredients to your taste. My mom doesn’t have an exact measurement for all the ingredients. But just to give you an idea this is more or less what is required to make it. P.S. I love you Ammu! Thank you for being you. 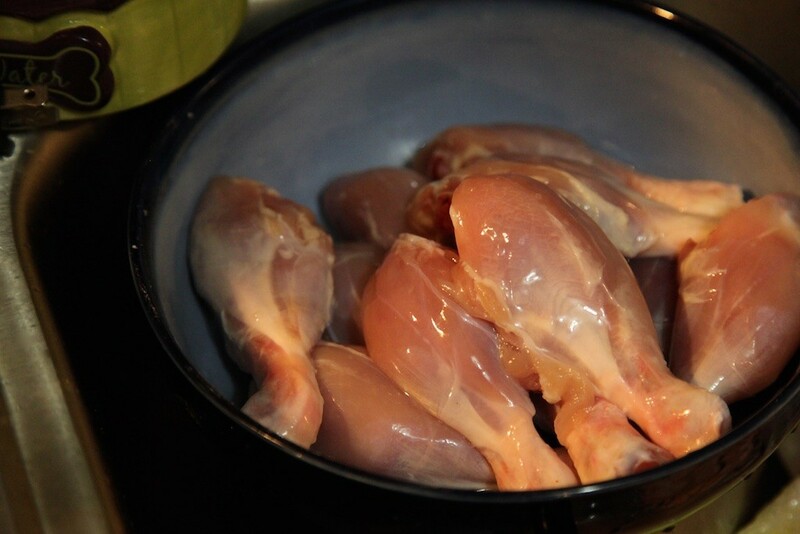 Make sure you wash the Chicken first and let it dry. Prick holes in it with a fork. Mix all the ingredients together in a huge bowl except for the oil. For best results, it is suggested to keep this mixture in a fridge overnight. The flavor develops increasingly if you let it marinate for a longer time. 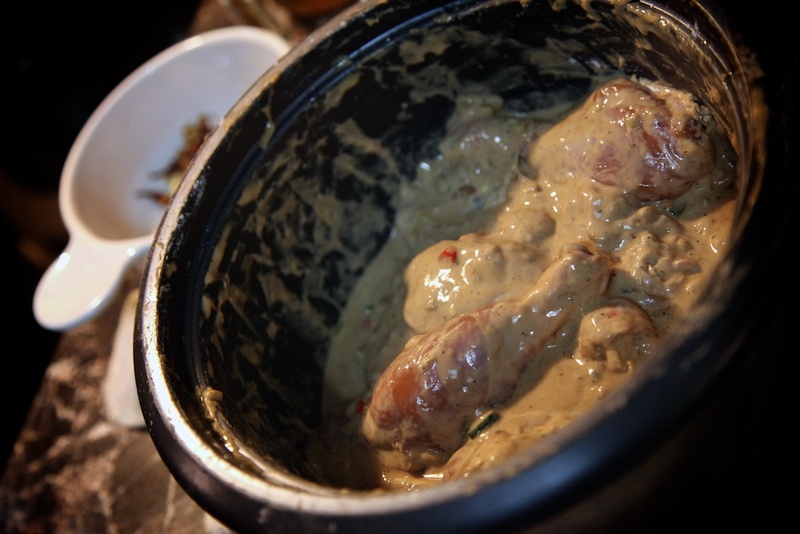 If you are in a hurry then you can marinate it for an hour and that should also be good enough. 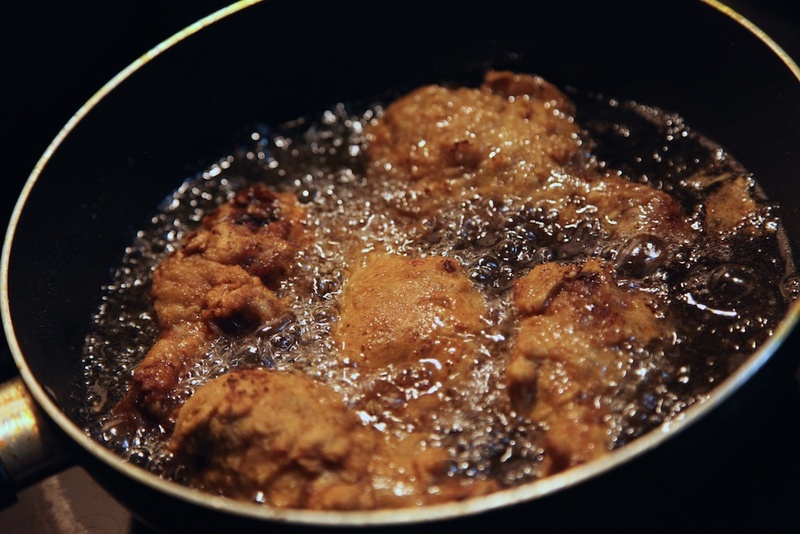 Take it out and fry it well in oil under medium-high heat. Make sure to thoroughly cook it well on all sides. 2-3 minutes on each side before turning it.